The fourth and final episode of THE CROWD & THE CLOUD looks at how technological innovation pairs with engaged citizens to fill gaps in knowledge. Follow Waleed Abdalati, host of the show, as he explores a “Year in the Life of Citizen Science.” From birding to surfing, there’s a project for anyone and everyone at all times of the year. And showing the value of numbers in improving human lives, in Uganda World Bank economists and local partners at the Bureau of Statistics travel far and wide to fill a data gap about living standards across the country. Citizen science surfers are catching so much more than waves, they’re beginning to collect ocean data for scientists! “Stoked for Science” profiles one of America’s newest citizen science projects, Smartfin, and its collaborators at the Scripps Institution of Oceanography in San Diego. Innovative fins contain sensors for temperature, pH (tracking ocean acidification) and salinity: they’re smaller and much less expensive - $200 vs. $20,000 - than the instruments used by academic researchers. 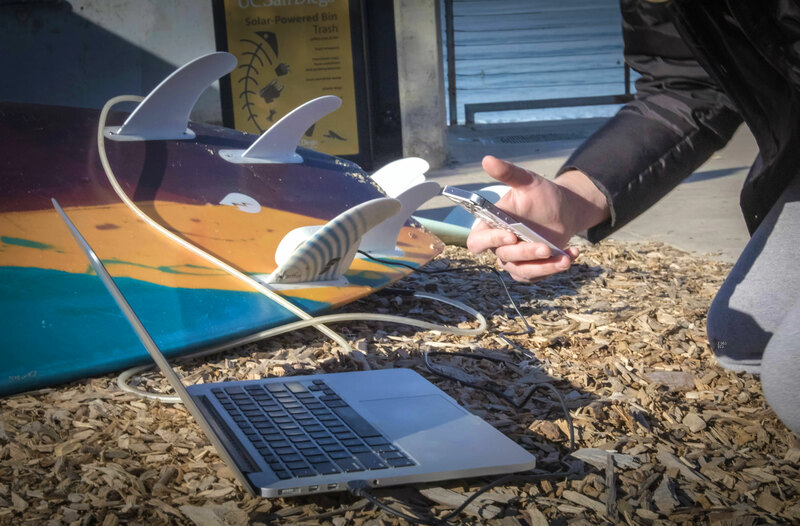 Volunteers get to go surfing for science, and it’s easy and fun, with no loss of performance from the sensor-equipped board, a key factor for Smartfin founder, Andy Stern, and lead engineer, Benjamin Thompson. But project partner, The Surfrider Foundation, isn’t just for surfers: it’s for all beach enthusiasts who want to clean up their slice of paradise. With over 3 million surfers in the US alone, and an estimated 23 million worldwide, just imagine the possibilities. Social media and new technologies can make life better for people everywhere. 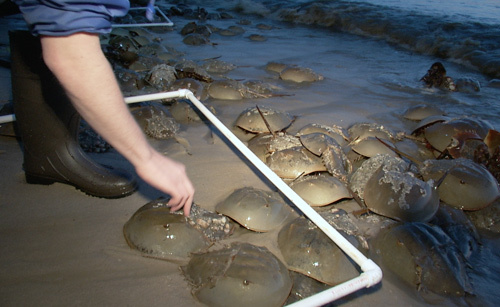 But can citizen science and mobile apps also protect the species with whom we share the planet? CROWD & CLOUD travels through the year, and from New York to California, to find out. By now it’s springtime and buds are bursting, and that same Nature’s Notebook app and citizen science are delivering hyper-local data about species-specific seasonal changes in the Valle De Oro Wildlife Refuge near Albuquerque NM. 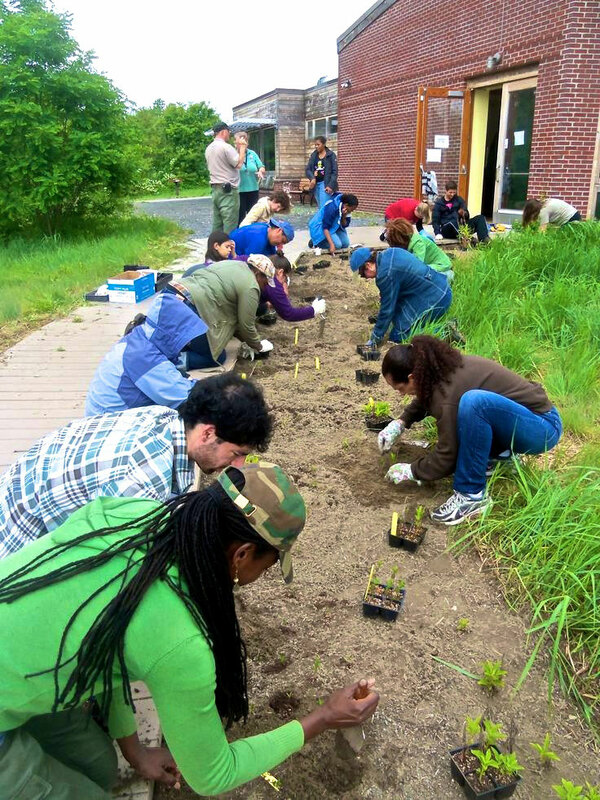 This is the first urban wildlife refuge in the Southwest, and managers need to know differences in fruiting behavior between the native cottonwoods and invasive Siberian elms. 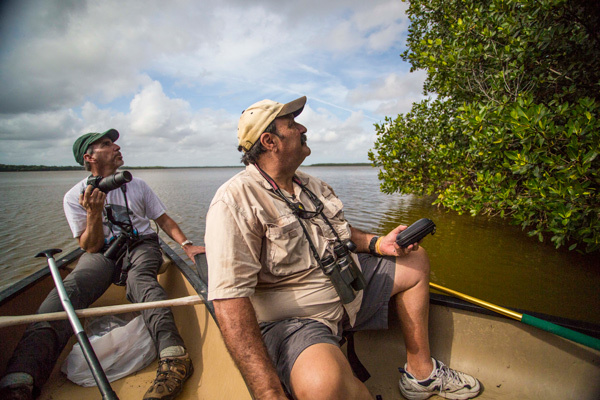 With only one full time staffer, citizen science is able to capture essential management data to help the new refuge grow and flourish, showcasing its unique “bosque” characteristics.